Among all the fishes out there, salmon is probably my favorite, you can smoke, sear, grill them or even eat it raw. For a lot of people, eating raw fish might be a little out of their comfort zone, so, as a stepping stone, I will make them try cured salmon. 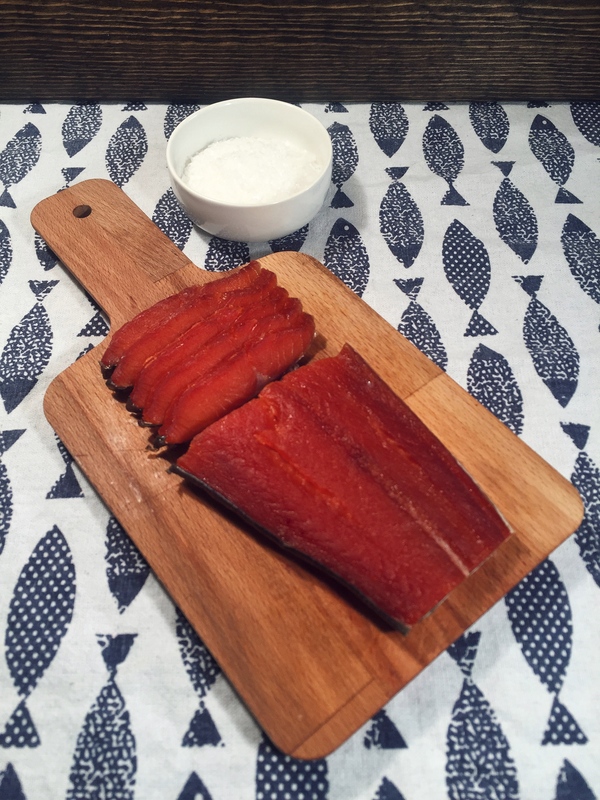 This recipe is extremely simple, you can add any spices to customize your cured salmon. In this recipe, it is important to try to use North Atlantic salmon, this is because pacific salmon has a tendency to have parasites. When you take it out after 72 hours, the dry mixture that covers the fish should have turned into a thick paste or liquid. Rinse with some ice water, then slices and serve.